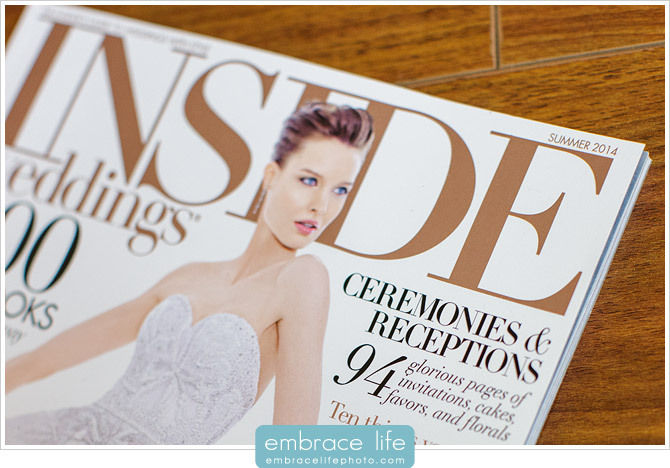 We are so happy to finally get our hands on the Summer 2014 issue of Inside Weddings magazine. 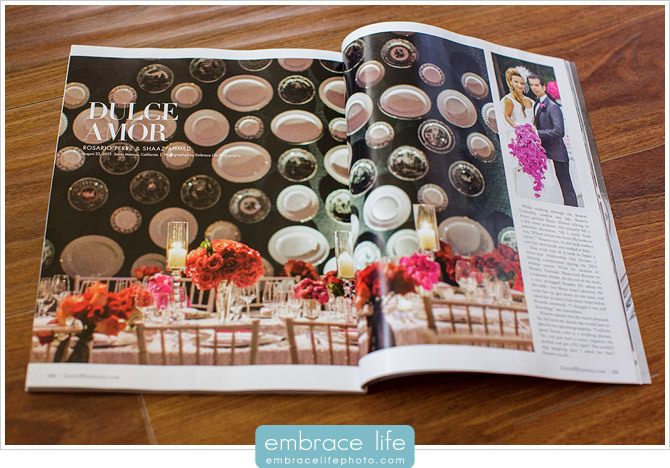 It’s an incredible honor to see Rosario and Shaz’s stunning wedding featured across eight beautiful pages. Huge thanks to Charley King of Bluebell Events for designing such a glamorous wedding at the Viceroy Santa Monica, and the entire team of vendors for their artistry and excellence. It’s an honor and privilege to work with such talent (credits below). You can see much more of this wedding in our gallery. 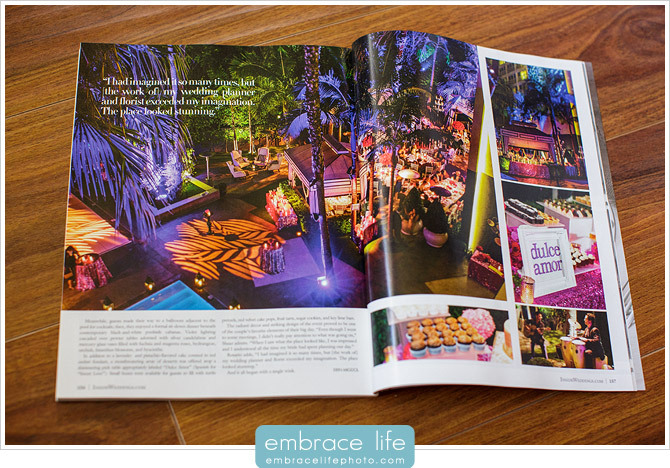 Pick up the magazine to read Erin Migdol’s great write-up about Rosario and Shaz’s unique story. The Viceroy Santa Monica, with its modern design aesthetics, made the perfect wedding venue for this stylish couple. 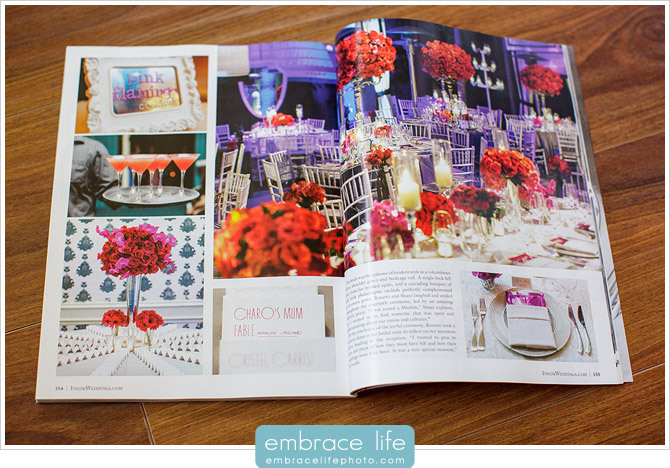 The stunning, colorful flower arrangements, spectacular linens, and breathtaking lighting further enhanced the environment. And, check out the beauty styling by LouLou! We absolutely love Rosario’s bold, confident style. 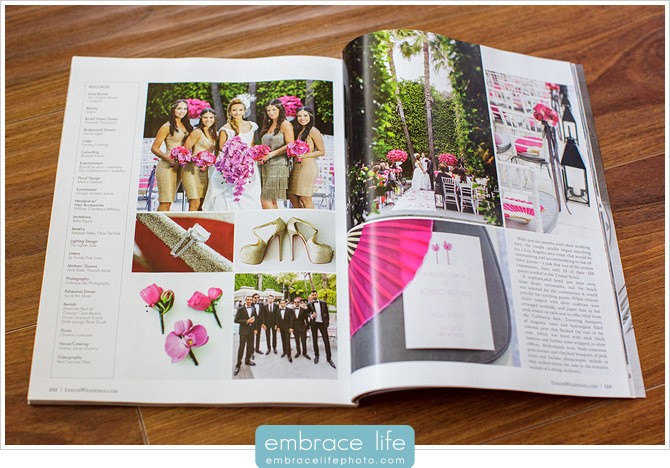 It was such a blast photographing Rosario and Shaz’s Viceroy Santa Monica wedding, and just as fun to relive it through the pages of Inside Weddings magazine! Thanks again to all who contributed.